After reading this post about the Canon AF7 or 8 by Christos, I wondered if it was possible to use the gorgeous viewfinder of this humble lump of plastic on a real camera such as the Leica IIIa which has a definitely crappy viewfinder – at least if you wear glasses like me. Of course I shot a roll of film with the Canon – you never know… but it did not convince me as the right thing for me. Sure, the viewfinder is yummy, but that noise… Sorry Hamish, but all those cameras with those whirring motors don’t do it for me. 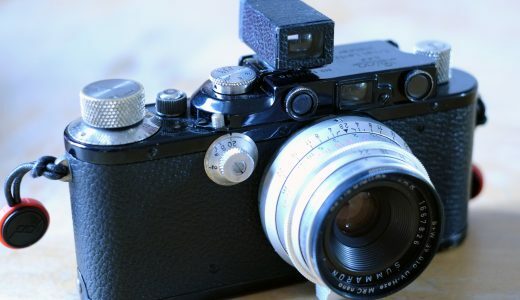 Next, I used a fine saw to hack off the lateral pieces, sawed and filed off the plastic nobs on the casing, wrapped the whole thing in black electrical tape and stuck it on top of my Leica IIIa with a bit more electrical tape. 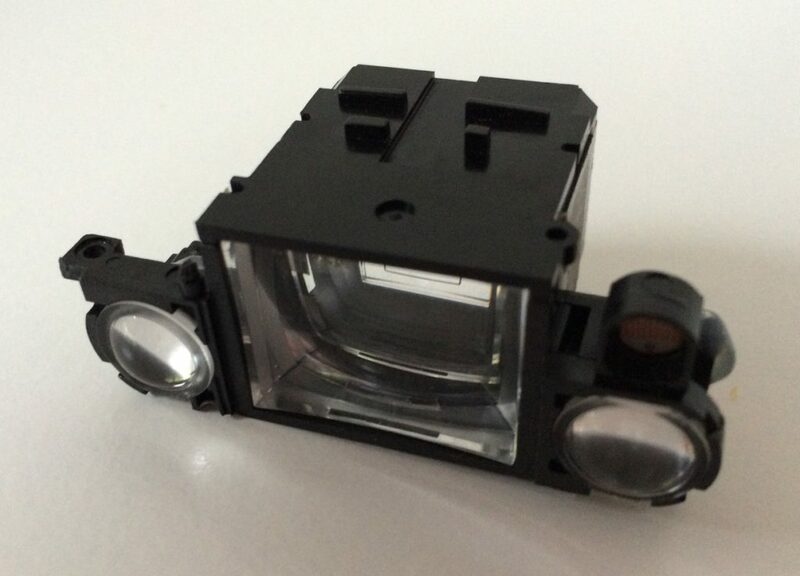 Of course I’d like to source a hot shoe from some defunct flash to be able to use it like it’s meant to be (or not…). And yes I know, that’s a 50mm Summitar with a 35mm finder… I’ll get a a 35mm lens one day. In the meantime, it proves the concept for me. Though I really do need that hotshoe as the sticky tape I used comes off in the hot weather…. Hope I have not shocked anyone too badly by the hack, but the Canon was cheap (darn, I missed the bloody M4 challenge) and not really my kind of thing. Frank, what a great idea. When you look at the silly prices add-on pukka viewfinders cost, this is a very cost effective way to get a 35mm v/f. 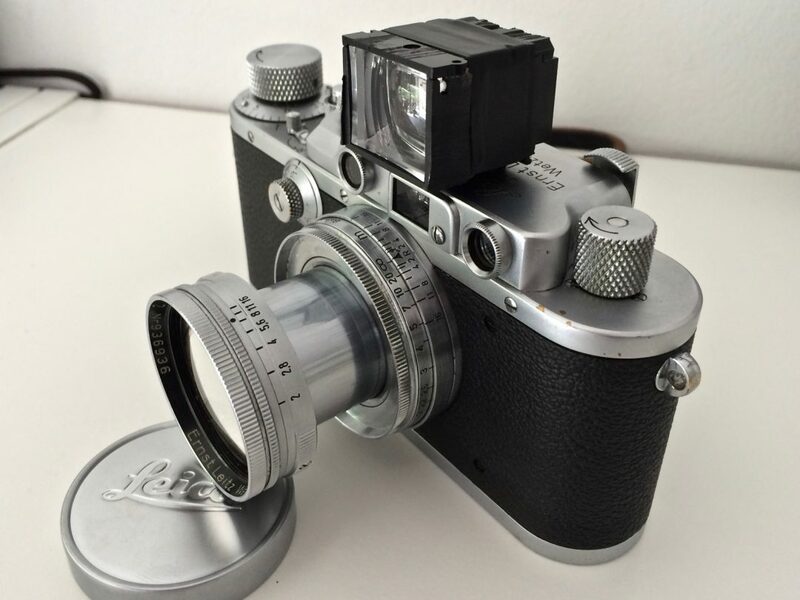 Frank, I know that they won’t be as cheap, but have you ever thought of, or tried, a Voigtlander Kontur finder? I use one on my IIIf with 50mm Summicron. I like the 1:1 viewing with both eyes open, and no flare that can occur with a full optical v/f. The unit for 35mm cameras is fixed for 50mm lenses, but the inscription on it can be misleading. They made models for 6×9, 6×6 and 35mm cameras. When acquiring mine I thought I was getting an equivalent 35mm v/f as the inscription says 24×36 35mm. However, this is for the 35mm format (with 50mm) to distinguish it from the same aspect ration, 6×9 unit, intended for roll film cameras. After my initial disappointment in finding that it didn’t have a 35mm FoV, I came to love it. Seen them and I must say it’a an interesting concept. Never was able to test one though. But there’s one on eBay up for grabs, ending soon with a moderate entry price. I might try it though it looks a bit battered. On the pictures, the framelines etched into the front look bright on the upper quarter and a bit faded for the lower part. Do you think that might make it unusable? Frank, if there is still time, can you copy and paste the ebay URL here and I’ll have a look. I got my Kontur today and a s you said though the casing is in a bad shape, the ‘optics’ are clear. BUT it’s going to take some time for me to adapt to this system. Got to kill some instincts such as to close my left eye when photographing, Then rewiring my brain to accept that the magic framelines are really there…. Apart from that, I understand that the system is great… if you can adapt to it. That remains to be seen. Anyways, I’m preparing a post on my site… or here at 35mmc comparing different finders for my IIIa. Hi, Frank. Good to learn that you were successful in your bidding, and that despite the cosmetic condition, the finder is fine optically. As you say, in use it is somewhat counter-intuitive to keep both eyes open. Compared the the finder on a Leica III series the Kontur must seem enormous, but persevere. It won’t take long to get used to it. One advantage that isn’t mentioned is how suitable it is for users, like me, who have slightly differing prescriptions for each eye. One can easily swap over, especially useful for any camera with a dioptre adjustment. I’ve added another Kontur, this time for 6×6. This came yesterday and will be a great addition to use with some 6×6 folders that have either frame finders or tiny optical finders. One thing is that the Kontur does not sit firmly in the flash shoe. It slides out when I tilt the camera. Got to ad some rubber pad on the base I think. Frank, here is a very cheap one currently showing on ebay. Cosmetically, it is poor, but the image the seller has posted an image of the framelines and it doesn’t look too bad at all. The small marks you can see are not uncommon if the unit has been scuffed at the front of the v/f, but if cosmetics don’t bother you too much, this is the cheapest I’ve ever seen. Frank, much better cosmetically. ebay UK didn’t list this from international sellers, although they did have some. I do use ebay.de so this is a good lesson that I should go into ebay.de as well. Since you asked, I’ve gone and got mine to check on the frame lines question. I think this German listing is fine. The seller has posted two frontal images and you will note that the brighter part of the upper frame line moves from left to right. This is caused by light entering the rear eyepiece and the different position of the Kontur relative to the incoming light. The diameter of the eyepiece is huge relative to normal v/f’s being 21mm in diameter. I can replicate the effect by simply moving my Kontur and angling it relative to a window and viewing the change in the highlighted part of the frames from the front. Yep, thanks for reassuring me here… I’ll try my hand at this one tomorrow night. Great Frankencamera, shame the donor had to die. I put a roll of Foma 100 through an AF-7 this morning and didn’t find it especially noisy. 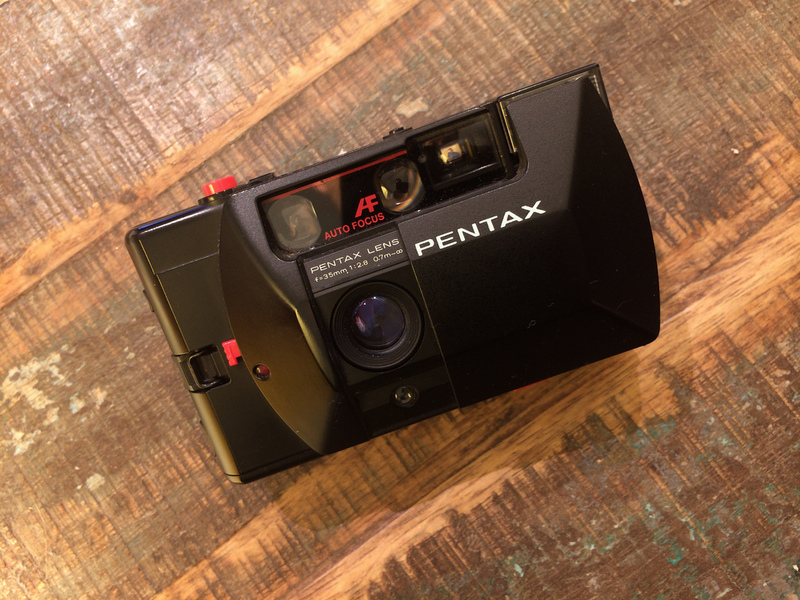 The Pentax 35 AF-M, now that’s noisy! Second Terry’s suggestion about a Kontur for 50mm lenses, the 6 x 9 version works for 35mm between the parallax bars, and they tend to be cheaper than the 35mm offerings. I’d find it hard to kill an AF-7 with that lovely 3-element lens and excellent settings function, but can see why you’d want that great finder on a Barnack. Yeah, I hesitated to kill it at first, but then again, I couldn’t have sold it (too much hassle for some measly €€). Could have donated it… sure. But the finder tempted me, so off to the chopping block. I am generally averse to noisy cameras… anything with a motor kills the fun for me. Even the rather loud ‘click’ of my Lomo offends me. 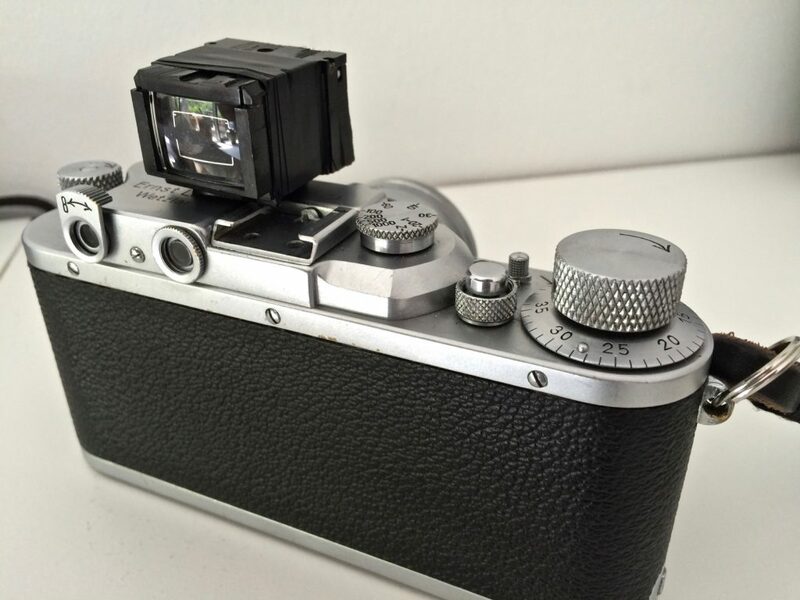 The nice solid ‘clack’ of the Leica is OK.
Perhaps 3d printing a housing unit for the reclaimed finder might fair better? You would need something that fits a bit snug but it’s certainly doable. 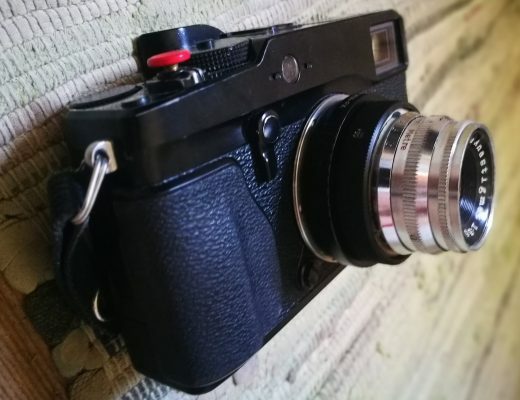 Very interesting concept and has me thinking of cheap 28mm compacts that have great finders. Watch the flash condenser! The force is strong in him! My Gossen DigiSix meter has a removable shoe that I bought separately – they seem to run $9.99 new here in the USA at places like B&H or Amazon, so I’d imagine that they are still in inventory all over. It attaches to the meter with a short, fairly coarse screw, and it’s plastic so there would be lots of adhesive options, but if you’re in love with electrician’s tape, that would work, too. Hi Frank, as a person who has just bought a front door peephole to mod into a 15mm finder (hopefully), I must commend you for your efforts! Can I just inquire to what degree the finder is accurate – just out of curiosity. Is there a point where parallax causes issues? Well as for accuracy, first it’s a 35mm finder and I have only fifties…. so I’ll have to guesstimate ‘a bit’. Then again, as I don’t have a definite way of mounting it yet, missing a hotshot and some precise measurements, I just stuck it down with tape…. so much for accuracy. and we’ll not even talk about parallax. But photography is not about accuracy, it’s about creativity… yes, please say yes!!!! I couldn’t agree with you more : ) Tell you what, send me the external dimensions of your finder to [email protected] and I’ll make you a 3d printed hot shoe enclosure. I’ll need to do it for myself so it’s no bother. Bit of a doddle really but, judging from the uneven external surface of the finder (minus tape), you’ll have to fill in the gaps with some sort of putty like Miliput. Google if you don’t know what it is, there is a black version, which is what you’ll be wanting. It’ll take a fortnight or so, printing is easy but I need to order some more black material. Hey, that’s a great offer. I’ll send you the dimensions! I measured at the lens side, the eyepiece side being a bit smaller but this can be adapted with the putty I guess. I can always refine a bit by sanding down the small remaining protrusions. Thanks a lot and let me know how it’s working out! No problems. Let me have your email address, I’ll need to get your home address to send it on and I’d rather you did not post it on a public forum. Cheers. If you do cook up a 3D printed housing for the finder, would you mind sharing your file? I have access to a 3D printer and would love to print one for myself! Hi Mike, I’ll be putting it on my site – http://www.lostlenscaps.com as always. Small plug – my site is to do with 3D Printing and Photography. Have a look, I aggregate photography related 3D models from the various sites along with the stuff I do myself. I’m sure there will be stuff you would like to print once you get your printer. Cheers. This is great Frank. That sure does look like a beautiful bright finder. Funnily enough I’ve just recently finished a similar project. In my case I was concentrating on small size and light weight above maximum brightness. Have posted a few photos of the stages and end result on this Flickr album: https://flic.kr/s/aHskAUGsoL The result is surprisingly accurate and pleasant to use. Probably not as bright as yours though! Incidentally, I was inspired to do this by 35mmc. Hamish’s Leica LTM love letter a few months back nudged me to get my old Leica iii cleaned and calibrated and back into action then reading about the Voigtlander minifinder made me wish I could use wider LTM mount lenses on my Leica iii (but without the big expense). As I have said on other posts I have used a Canon converter B to use cheapo FD lenses on my lllf. With a 28mm f2.8 Canon lens focussed at around 6 feet every thing is in focus. But how about a 28mm viewfinder. Thanks Eddy for telling us how to do it. I found a cheap Nikon AF240 on eBay that has the biggest and brightest viewfinder ever and a standard 28mm lens. Used the same process as Eddy (Thanks again) and now have a viewfinder on my lllf for next to nothing. I guess we can soon found a viewfinder-hacker-collective! I didn’t know about the Canon B adapter. That’s interresting as I have a bunch of FD glass!